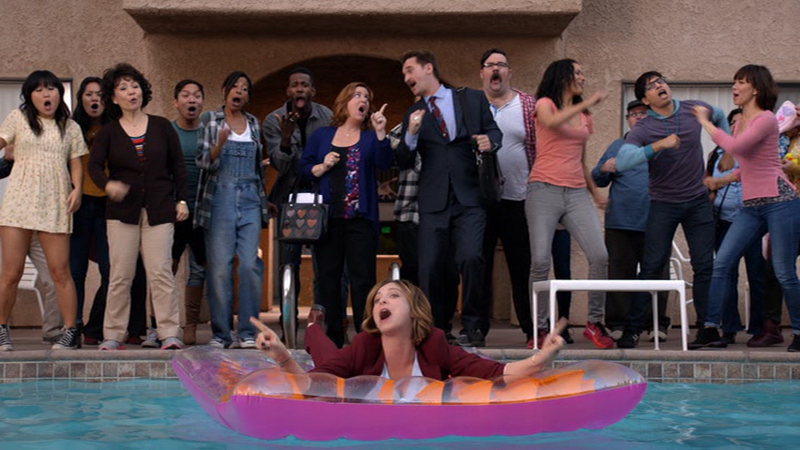 This romantic-comedy set-up might work entirely on its own, but Crazy Ex-Girlfriend adss two ingredients to ensure the series is completely unique. 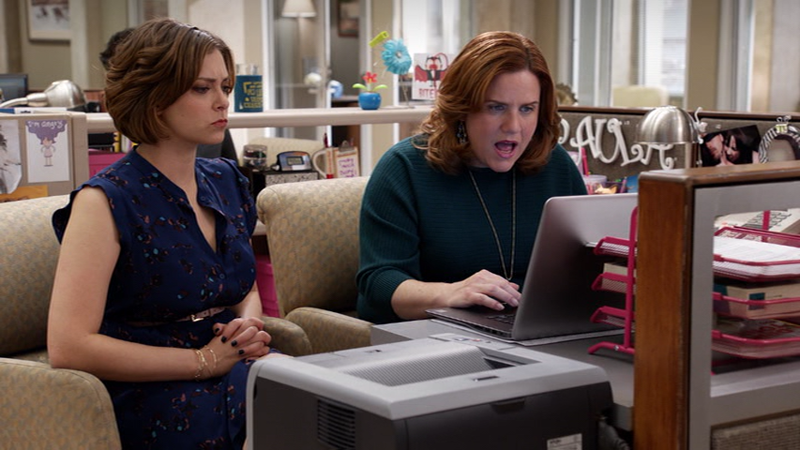 First is a dark sense of humor that suggests--from the opening titles--perhaps all is not well with Rebecca's mental state (though it's often excused by the people around here as her being "quirky"), but the more obvious and important difference that makes Crazy Ex-Girlfriend stand out is its musical numbers. Each episode features a number of full-blown song and dance sequences, which reflect the inner thoughts and emotions of the characters. While the music is a huge draw, the show's cast carries the weight when everyone's not singing and dancing, and they do it seemingly effortlessly. Bloom is perfect as the show's deeply flawed heroine, bouncing between moods and personalities with ease, which also helps with the musical sequences, where she often pays homage to well-known personas, like a Disney princess or an R&B vixen. The impressive thing is Bloom's willingness to not just potentially embarrass herself (a moment involving Spanx is particularly exposing) but also make herself completely unlikable, a perfect fit for a character who struggles with personal interactions and self-involvement. Add to this genuine intelligence and occasional misplaced confidence, and Rebecca becomes a fully-realized, yet utterly confounding character. Similarly, Rodriguez is excellent as Josh, a sunny, if directionless manchild. Everything about Rodriguez's performance--from his fantastic dancing and singing to his puppy-dog optimism-blended-with-confusion--is just what's needed to make him both a believable object of obsession for Rebecca but also a good guy trapped in a love triangle with her and Valencia. If Rodriguez didn't make Josh so remarkably amiable, his vacillation between these two women would engender a reaction from the audience that would take away from the show's core plot, shifting focus from Rebecca's machinations to Josh's perceived unfaithfulness. Despite the quality of Bloom and Rodriguez's performances (not to mention Ruiz' villainous Valencia, Santino Fontana's cynical Greg, Pete Gardner's wonderfully insecure Darryl and Vella Lovell's low-energy college student Heather), the show lives and dies on Champlin's Paula, the series' shadow star, as the growth she experiences in her personal and professional lives in parallel to Rebecca's is just as important. That Champlin's character (an industrious office worker bored by her static family life) is far more relatable than Rebecca's high-functioning loose cannon is part of it, but Champlin also has the chops to deliver some of the show's best non-Bloom songs, including one of the season's emotional highlights, "After Everything I've Done For You (That You Didn't Ask For)." If you removed Paula, the show would collapse upon itself, untethered from her reality and her heart. Though the show would go on for another two seasons, which continue Rebecca's tale, this season is rather self-contained, introducing all the main players (including delightful side characters like David Hull's White Josh and Erick Lopez' Hector), and there's a very clearly-defined plot: Rebecca's attempts to win Josh away from Valencia, while disrupting and ruining the lives of everyone around her through her lies, manipulations and selfishness. Though the show is first and foremost a comedy, there's genuine emotion woven throughout, with fully fleshed-out characters that are easy to become engaged with. The show easily could have closed the doors at the end of the final episode here and left the viewers satisfied. 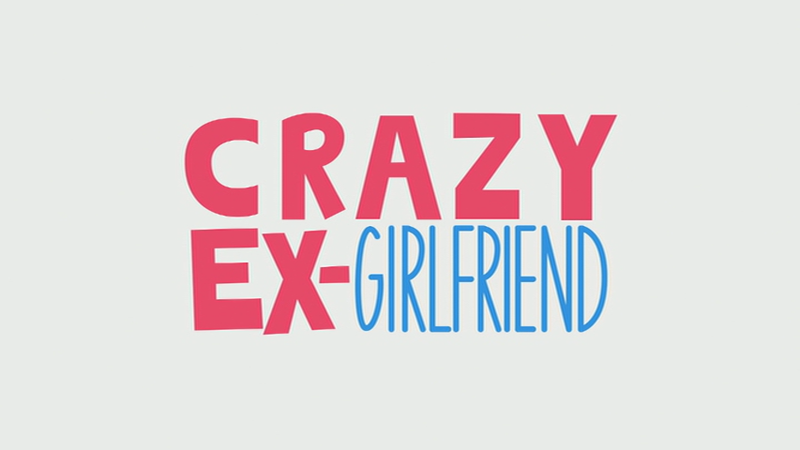 The 18 episodes of the first season of Crazy Ex-Girlfriend are delivered on four manufactured-on-demand DVDs, which are packed in a clear standard-width keepcase with two dual-hubbed trays. The static, anamorphic-widescreen menus have options to play all the episodes, select shows. There are no audio options and no subtitles. The standard-definition, anamorphic-widescreen 1.78:1 transfers on these discs look good, with excellent saturation and appropriate skin tones, while the level of fine detail is sufficiently high to make all the various music videos look great. With the 18 42-minute episodes spread over 4 discs, there's plenty of space for the video, resulting in no notable concerns about compression. Solid across the board. The Dolby Digital 5.1 tracks make their presence felt during the show's musical numbers, using the surrounds to pump up the power, with appropriate low-end action when called for. Dialogue is nice and clean, getting the right prioritization in the mix, while the side and rear speakers provide some atmospheric effects to fill out the scene. The tracks are free of any issues with distortion. These are no extras included. You must look elsewhere. The lowest-rated network TV show to ever reach three seasons, Crazy Ex-Girlfriend is certainly not going to be everyone's cup of tea, but if you're in the target audience (folks who dig dark musical comedy about the love lives of the mental ill) this show is going to scratch that itch so hard. The MOD DVDs look and sound quite good for standard-definition, but there are no extras to enjoy, so the set is mainly for fans who want to go back and enjoy the story of Rebecca pursuit of Josh, all the chaos in her wake and all those great musical moments, again and again. You know...obsessively.